At the end of 2005, the FAA tallied 609,737 licensed pilots in this country, which means we are a very small and select group compared to most other groups of enthusiasts such as skiers, anglers, ATC riders, etc. 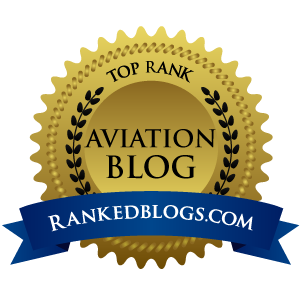 Of that number, 311,828 held IFR ratings, 141,792 were ATP rated, but surprisingly only 134 pilots held Light Sport tickets. This is in contrast to 618,633 pilots at the end of 2004, a drop of 8,896 pilots…in one year. But compare the 4Q/05 ending number to 4Q/02 when 631,762 pilots held certificates, and there are 22,025 less tickets out there today, in just three years. This trend is NOT good. AOPA says – and I agree – that this drop is due as much to older pilots losing their medicals as it is to diminishing student starts. Slice it any way you want, but the GA community needs to stop the bleeding now. The next few years should see an uptick in student starts as Light Sport becomes more prevalent and accepted as a more affordable way into the air. When boomers see their colleagues jetting off in air taxi VLJs and other buddies are seen flying sleek composite GA planes off to golf two states away, word should spread through 2007 and 2008 that GA is a very cool way to travel. That should translate into more student starts and eventually more pilot certificates held. If you want to keep on top of the OFFICIAL numbers on all this from FAA, visit this page and download any of the many Excel spreadsheets that break down the data a number of different ways. It is there that you’ll find out that in 2005, there were 8,150 people holding rigging certificates allowing them to wad up parachutes and cram them back inside a really expensive backpack so otherwise sane humans can dive out of perfectly good airplanes. 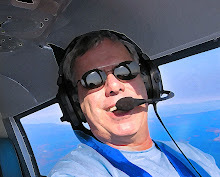 So this post again asks the question: Who are you going to talk to today about flying? Who are you going to tell about the thrill you get when you yank back on the yoke and the houses get smaller? Maybe it’s a guy at the gym, or the milkman (do they even HAVE Milkmen anymore? )…doesn’t matter. Just keep those lips moving…talk up flying all day and night, to anyone. Tell them about the flight school out at the little GA field on the edge of town, and how wonderful the friendship is among the pilots there. Tell them to go take a discovery flight, and urge them to take the controls and… FLY. Because we all know that once they do that, when the exhilaration of flying gets in their blood, when the smell of Avgas on their hands smells better than Chanel No. 5, their ticket into this great select club is just a few hours of flight training away.